The weather in Northwest Florida was chilly and rainy but I still did a number of RaDAR outings. I had an outing on 12/14 in Apalachicola FL area with three stops by vehicle. Two stops were parks in Apalach and a third stop was at the St George Island Lighthouse. On 12/24 I had the day at Falling Waters State Park and operated from two locations. I did some operating from the passenger seat of the truck to beat the chill. On 12/7 we had a RaDAR On-The_Air Meetup. I only had one contact as I got rained out. We did have a RaDAR Google+ Hangout however. During this month I discovered I could wind-up some of the wire on the 10/20/40 Trail Friendly End Fed to operate on 17 meters. Santa Claus brought me some antenna books and a Plano waterproof box. 12/17 N4KGL RaDAR Lunch at EM70CE82 worked KI4YY Blaire in VA S7 report on me 17 meters SSB. Very pleased. Used LNR 40/20/10 Trail Friendly End fed with wire wound around choke to make it work on 17 meters. 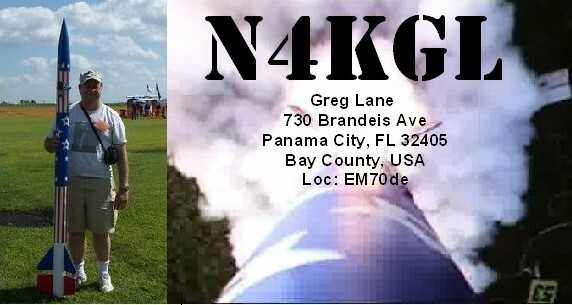 12/1 Lynn Haven FL Park I got two contacts with Arkansas and a SOTA operator in Texas. I also worked MI NJ and NC.